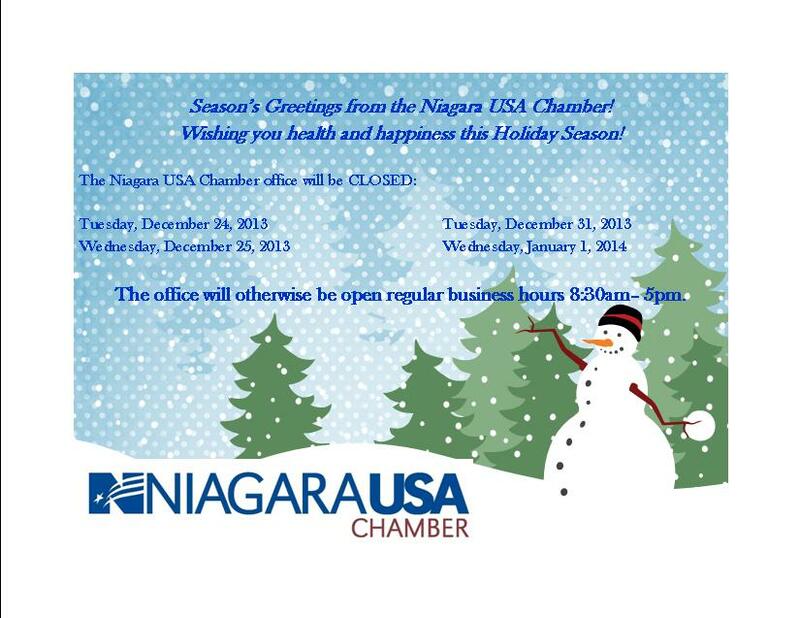 The Niagara USA Chamber office will be closed December 24 and 25, 2013, in observance of the Christmas holiday. The Chamber office will also be closed, Tuesday, December 31st and Wednesday, January 1, 2014. We will reopen on Thursday, January 2nd. As a member of the Western New York Regional Economic Development Council, and having several of our Board members and staff on various Council work groups, the Niagara USA Chamber is proud to be part of the process that has seen over $60.8 million awarded to 81 projects in the Western New York region including millions delivered to Niagara County in economic development funding in round three. As we move into the New Year, we will continue to strive for the best for Niagara County and Western New York. To read Governor Cuomo’s Press Release Announcing $715.9 Million in Economic Development Funding through Third Round of Regional Councils click HERE. Trades Job Training Facility- The Niagara Falls “Trades Job Training Facility” Project will renovate a vacant, city owned commercial structure on Highland Avenue, and create a trades employment center for The Isaiah 61 Project. ESD $132,000. To view a the full 2013 Regional Economic Development Council Awards document CLICK HERE.